Pinewood Apartment has a picturesque setting in the hamlet of Littlemoor. This apartment offers comfortable accommodation for up to 4 guests within easy reach of the market town of Chesterfield in Derbyshire. It's the perfect base for exploring the Peak District. The charming apartment is perfect for a relaxing family holiday. It has 1 double bedroom and 1 twin bedroom. A fully fitted kitchen comes with a range of appliances to suit all your needs. The spacious lounge is perfect for relaxing and unwinding in after a busy day exploring the local area. The bathroom comes with a bath and overhead shower. Guests are welcome to relax in the pretty garden which has a pond, waterfall and bridge. 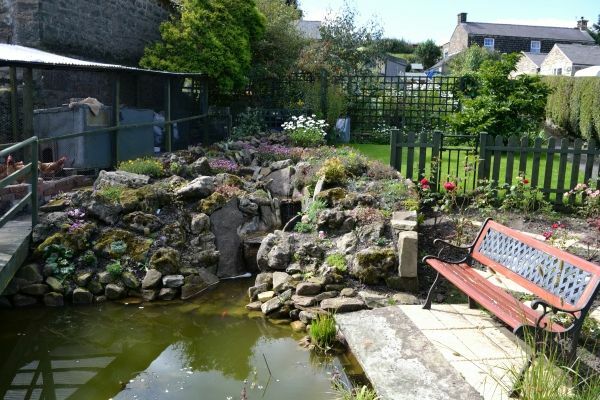 The apartment is conveniently located on the edge of the Peak District. 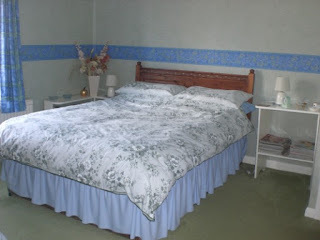 It also ideally situated as a base to explore North East Nottinghamshire. With so much to see and do in the area, it is impossible to cover everything here! If you enjoy the countryside there are plenty of walks ranging from the picturesque to the spectacular. Within a short walk from Littlemoor is a rocky outcrop known locally as The Fabrick (or Ashover Rock), from the top of which you can see five counties on a clear day. Ogston Reservoir is nearby and great for enjoying bird watching.